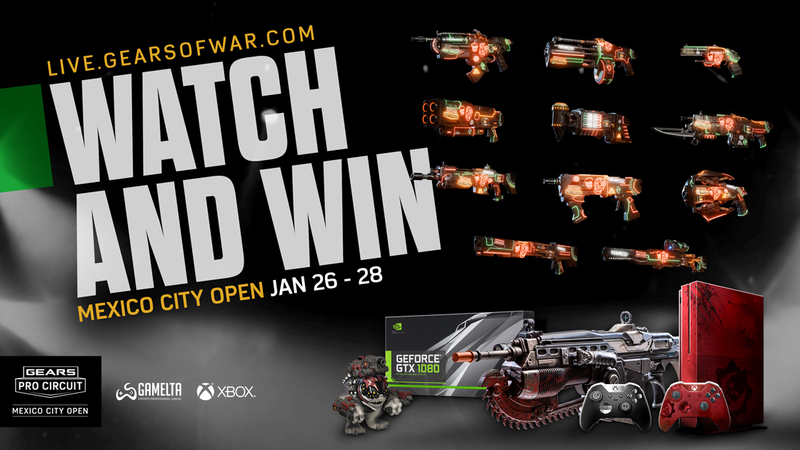 NOTE: PRIZES MUST BE CLAIMED WITHIN 2 WEEKS OF RECEIVING THE MESSAGE ON XBOX LIVE FROM 'GEARS ESPORTS' or 'Gears Esports 1', OTHERWISE THEY WILL BE FORFEITED. Mexico City Longshot, Markza, Enforcer – Claim your own limited edition Mexico City Longshot, Markza, and Enforcer skins during the broadcast (not a raffle, all you need to do is complete the quest and the weapon will be added to your inventory)! Please Note: The Quests for these skins may not be available at the same time during the broadcast, so make sure you tune in early and stay late to claim them all! The Rise of Raam Issue #1 Comic – Enter to win Friday's giveaway for a copy of 'The Rise of Raam' Issue #1 Comic! 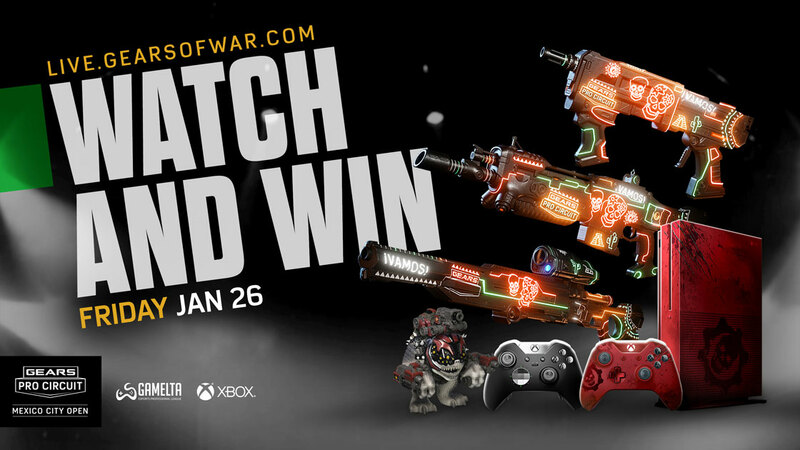 Mexico City Boltok, Overkill, EMBAR, Retro Lancer – Claim your own limited edition Mexico City Boltok, Overkill, EMBAR, Retro Lancer and Dropshot weapon skins during the broadcast (not a raffle, all you need to do is complete the quest and the weapon will be added to your inventory)! Please Note: The Quests for these skins may not be available at the same time during the broadcast, so make sure you tune in early and stay late to claim them all! The Rise of Raam Issue #1 Comic – Enter to win Saturday's giveaway for a copy of 'The Rise of Raam' Issue #1 Comic! Mexico City Dropshot, Torque Bow, Hammerburst, Boomshot – Claim your own limited edition Mexico City Hammerburst, Torque Bow, Boomshot weapon skins during the broadcast (not a raffle, all you need to do is complete the quest and the weapon will be added to your inventory)! Please Note: The Quests for these skins may not be available at the same time during the broadcast, so make sure you tune in early and stay late to claim them all! 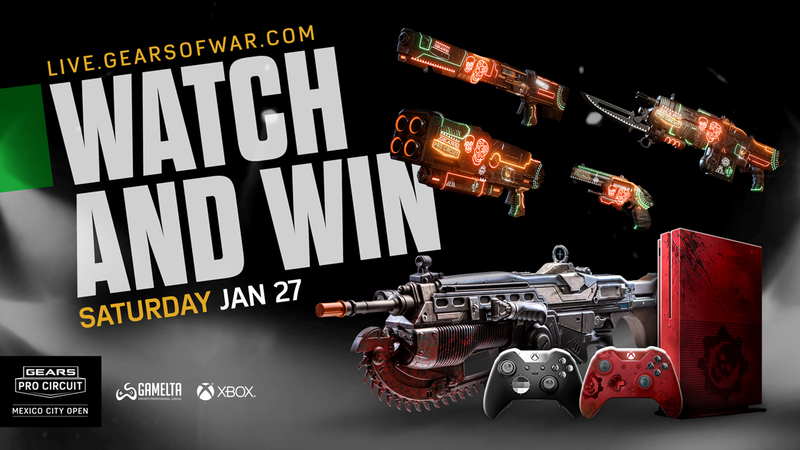 Xbox Elite Controller – Enter to win Sunday's giveaway for an Xbox One Elite Controller. 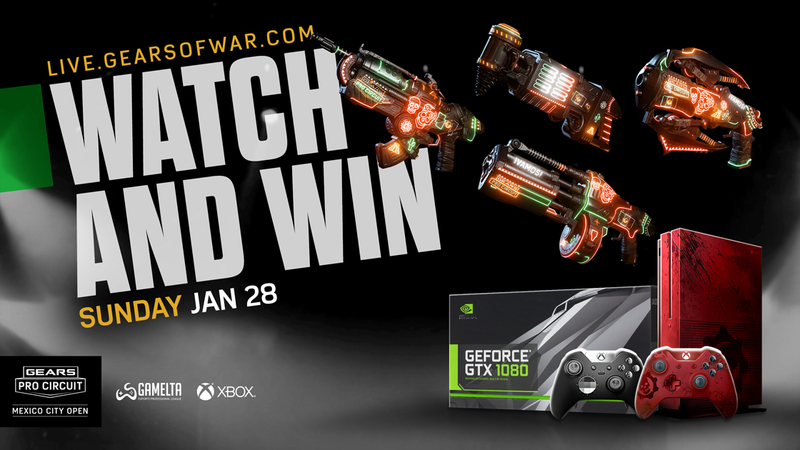 NVIDIA GeForce GTX 1080 Graphics Card – Enter to win Sunday’s giveaway for a $700 MSRP NIVIDIA GeForce GTX 1080 graphics card. The Rise of Raam Issue #1 Comic – Enter to win Sunday's giveaway for a copy of 'The Rise of Raam' Issue #1 Comic! Please keep in mind that some prizes (usually the in-game items) will be available immediately at the start of each day, while others will gradually become available as the day goes on, so make sure you tune in early and often to increase your chances of walking away with one or more of these amazing prizes!